The urban outlet to its offshore equivalent at Pangkor Laut Resort, Starhill Gallery’s restaurant is the luxury mall permutation of the fine-dining brand which promises fresh seafood that are prepared with an eye for detail. A regular candidate for the prestigious TimeOut Kuala Lumpur Food Awards, and the recipient of acclaims such as being one of the “best fish serves in the city” and serving “impressive meals, packed with taste”, the bamboo-enclosed perimeter is located within the lower ground levels of Feast Village, the mall’s fine-dining floor. 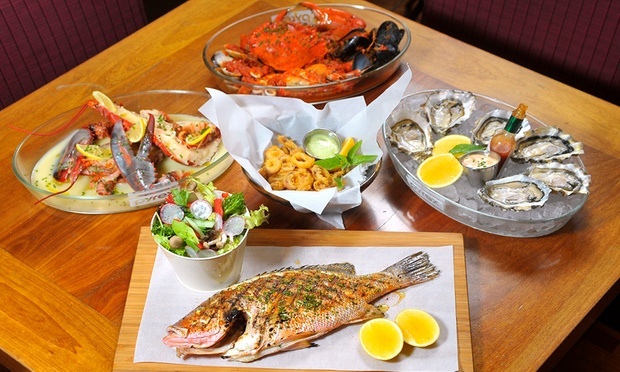 Complementing its patron’s meals with their vintage selection, of which comes with the available suggestions for food pairings, the multi award-winning brand charms with its crowd favourites of Lobster Thermidor, teriyaki sea eel, the Symphony of Appetizers, and honeyed sea bass. Fisherman’s Cove does not serve pork, but offers alcohol on its menu.